Portsmouth City Water Polo (PCWP) club was established in August 2009 to cater to an increasing demand for a water polo team in Portsmouth, Hampshire. The club was initially setup under Portsmouth City Council’s – Back to Sports program to help promote the club locally and now we are a fully registered Swim England water polo club competing in the Hampshire league. Our current members are mixed gender, age and ability, making the club a great place to meet new people and to get involved in an ever growing and competitive sport. Please see the the following links for our Club Constitution and our Club Code Of Coduct. Encourage people to try water polo (even if they have never played before). Promote and teach water polo to the local community. Accept new members of various background and ability. We are always looking out for new members! If you’re comfortable in deep water come along for a FREE Trial Session at one of our Training sessions. We provide a separate training session for those younger players who have been through a learn to swim scheme and are capable of swimming confidently and competently in deep water. It does not matter if you have never played before. 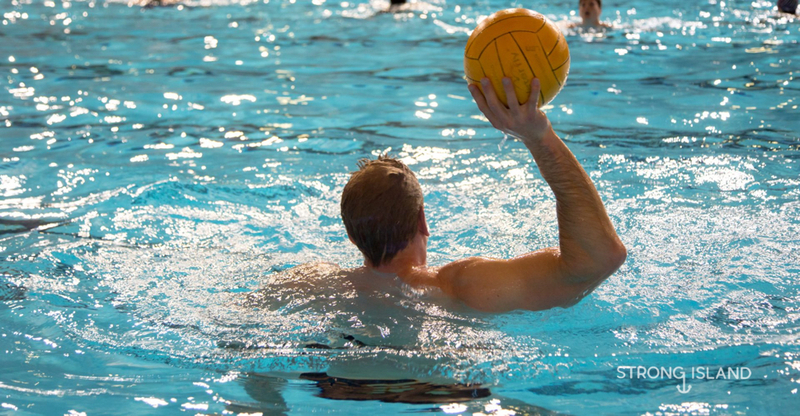 The club caters for senior players with different skill levels and we have an experienced coach on hand to teach you how to play water polo.